Las Terrazas Cuba is a small community and nature reserve located in the Artemisa province in the Sierra del Rosario mountains. Built around a creek, this region was designated a Biosphere Reserve by UNESCO in 1984. Although it’s an easy day trip from Havana, and on the way to popular Viñales, many tourists never hear of it. And this is a shame because I think what many travellers crave on a trip – to experience a slice of local life. And after ten months of being based out of Cuba no one had told me about it. I accepted a press trip with the Cuba tourism board (Autentica Cuba) and was skeptical as press trips often involve taking media to the same lame touristy places that everyone has already heard about. But this was quite different. Autentica Cuba knew this was something special but they didn’t know how to share the news with travellers. Let’s face it, some tourists never get outside Varadero, and while independent travellers may visit Viñales they don’t even know they are passing the Terrazas complex on the way. On the most basic level Las Terrazas Cuba is an authentic eco resort. It has managed to succeed while operating using local farming, energy efficiency and a focus on the great good of the community. But you can find models of this throughout the world, Costa Rica is the king of eco-tourism. But Cuba does this a bit differently because the community was not created for tourism and visitors are not only foreign tourists. 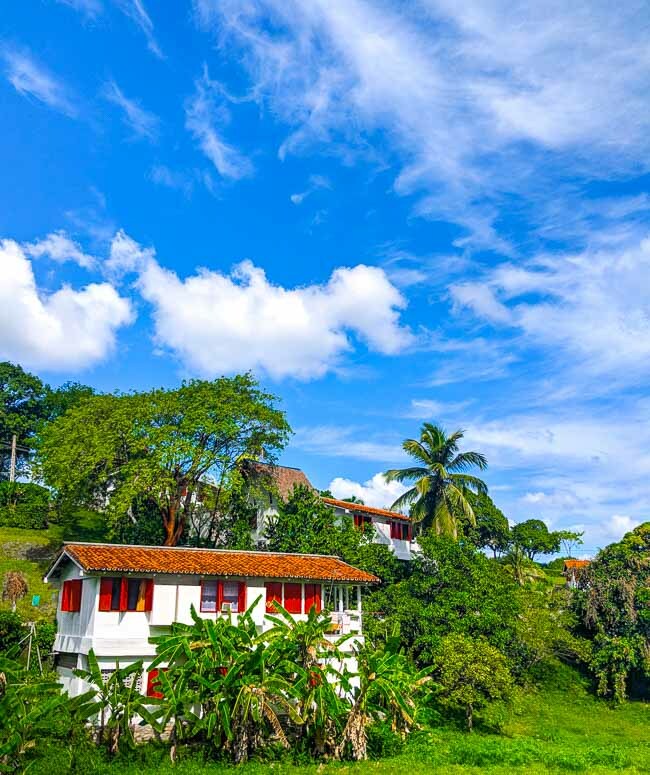 The reason you should visit Las Terrazas is that it’s goal is to integrate tourism into an existing community. In fact, of the 30,000 people who visit each year, 50% of them are Cuban. It’s a place Cubans love to visit on the weekends in summer, which happens to be low season. In a country where so much of the tourism is only accessible to foreigners because of the costs. This makes Las Terrazas special. Like everything in this country the story of Las Terrazas Cuba begins with Fidel Castro. In 1968 he has the vision for the next fight – a green revolution. The landscape had been ravaged by Spanish conquistadors and the French who had fled the 1791 revolution in Haiti to create over 50 coffee plantations. That coupled with hurricanes left the region deforested and unusable. A Beginner’s Guide to Cuban coffee. But Fidel promised to help all Cubans, including the illiterate campesinos (countrymen) who lived in poverty in the mountains. So he enlisted architect Osmany Cienfuegos, brother of revolutionary hero Camilo Cienfugeos, to build 1,360km terraces to combat erosion and to build a self-sustaining community with roads, homes and schools. They planted 7 million trees between 1968 and 1978. 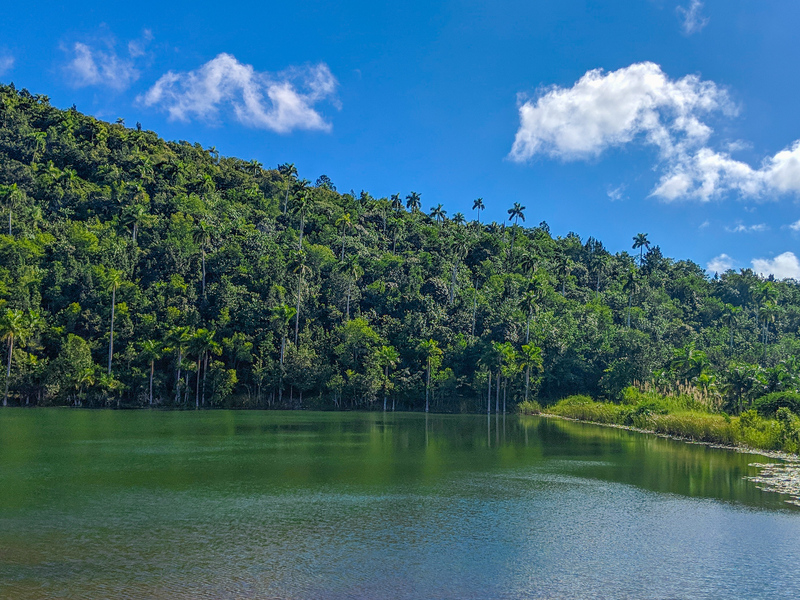 In 1985 its success was recognized and Sierra del Rosario became Cuba’s first UNESCO Biosphere. But later the region was threatened. The Soviet Union collapsed and its money stopped flowing to Cuba. This is known amongst Cubans as the “Special Period” when the economy was on the brink of collapse and its said the average weight loss was 5 pounds as there wasn’t enough food. 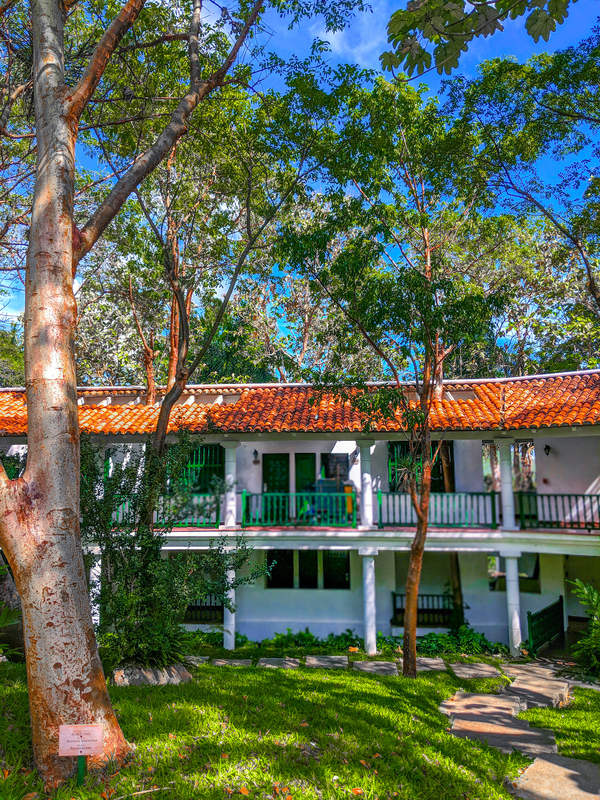 The Las Terrazas community needed to evolve to survive and in 1994 it built Hotel Moka. It kept its aim to maintain a balance with nature by nestling it within teak trees and around a 100-year old rain tree that is the centrepiece of the lobby. And this is what I love about this place, while there are plenty of things to do in Las Terrazas, it remains first a community with a focus on its unique environment. Today there are only 1200 inhabitants and you cannot simply move there. You must either marry someone who lives there or if you have a special skill that is needed, such as an electrician, you can be invited. If you’re wondering how to give back to the community, consider taking a tour and spending time in Las Terrazas. 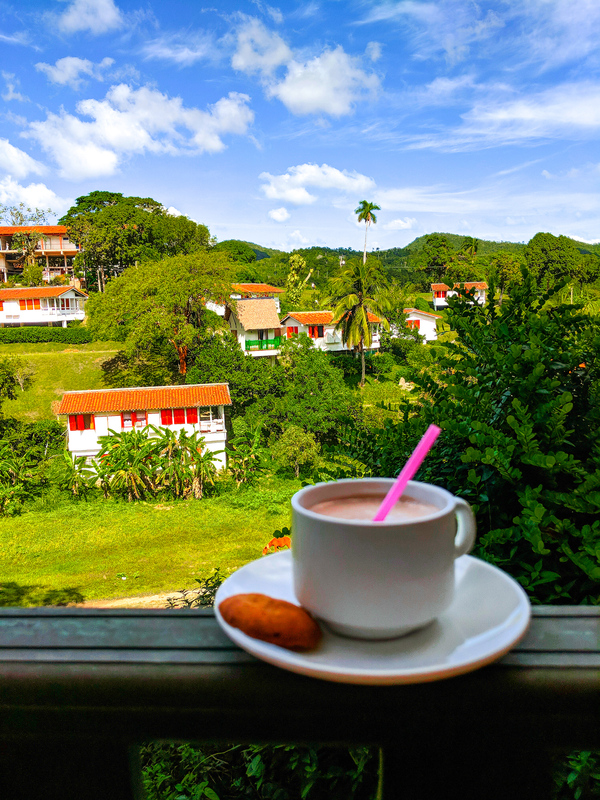 Tourism provides jobs and has allowed the community to prosper, recently funding the new Aire Libre café, a museum and the expansion of the Moka Hotel. The area is home to Cuba’s first canopy circuit/zip line in Cuba (there’s also one in Viniales). It’s a series of 6 lines just under a mile long that passes overtop the village and surrounding area. The fee is 35 CUC but plan to do it in the morning as they will not allow anyone who has been drinking, which normally would be easy. But in Cuba drinking can begin at lunch, at least if you’re with me. Besides it’s much cooler in the morning. A small man made lake. You can rent paddle boats for 2 CUC/hour. It’s a beautiful area to set up a picnic watch the wildlife. 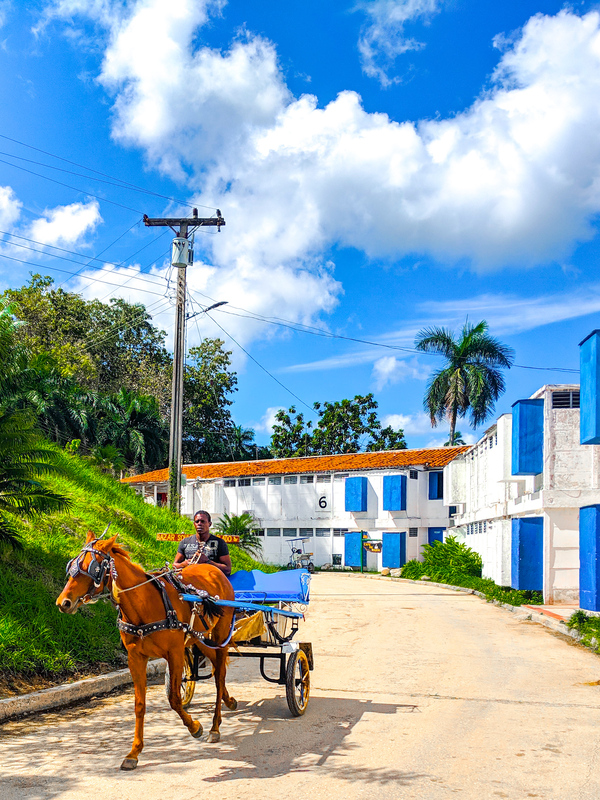 A former French coffee plantation, it was built in 1801 by French slave owners in Haiti and is the oldest plantation in Cuba and well preserved. Located at the top of a hill it has a gorgeous view of region (hence the name Buena-vista or good view). I’ve been to a lot of plantations around the world, whether it’s sugar, cotton or coffee. I really dislike how they gloss over the fact that plantations were successful because of slave labour and glamorize the colonial aspect. But Cubans speak frankly about the facts, including its history in slave trading and the French who arrived because they fled Haiti when slaves revolted against the masters. Cafetal Buenavista is the best preserved plantation in Las Terrazas Cuba with tours available of the drying terraces, the tajona grindstone to process the beans and quarters that were home to 126 slaves. Part of the owner’s home is now a restaurant, which was initially open for lunch but is now available for dinner reservations. There are plenty of opportunities to go horseback riding in the region. There’s usually someone along the San Juan river, but if not just ask a local. The going rate is 6 CUC/hour and everyone knows the guy who rents the horse. This is where you’ll find Cubans hanging out on the weekends. There is a fully stocked snack bar and restaurant on the river and the 10 CUC entrance fee includes 8 CUC of free food or drink here. The most unbelievable part of this beautiful area is that they have a strict rule of no music. If you spend any time in the country you release that Cubans play loud music everywhere. They even walk with speakers down the street. I could not believe they enforced this rule. It may be the only place in Cuba where you won’t hear music. Two more 19th-century plantations ruins are along the La Cañada del Infierno or Trail to Hell. They are on the way from the Soroa toll entrance on the way to the Moka hotel where there’s a popular spot to swim. 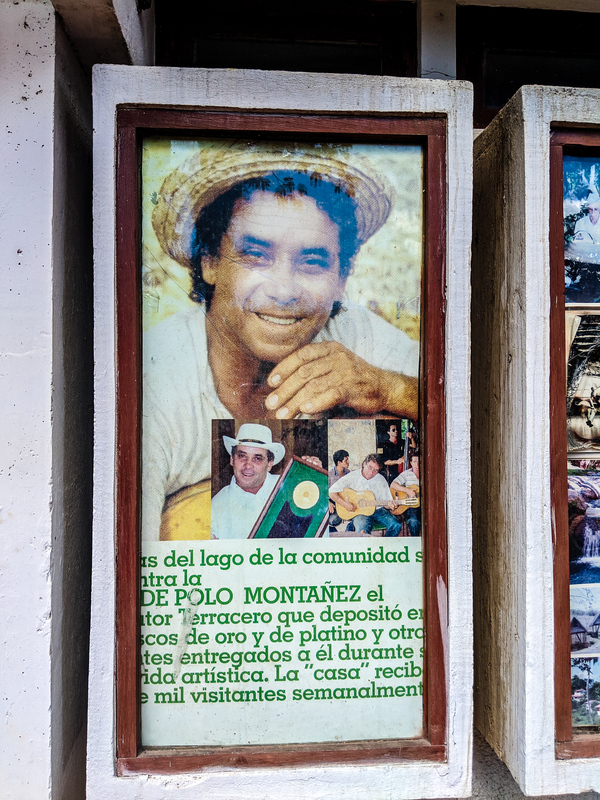 There may be no one more beloved than local guajiro musician Polo Montañez, a folk singer from the region with international fame with a gold and platinum album for his first album “Guajiro natural” in 2001. His lakeside home is now a museum, where his brother gives tours during the week. The third Friday of each month there is a sing along called Musical Peña to honour him. This house museum is the site of the Musical Peña (meeting / gathering), which gathers singers of the region on the third Friday of every month, to sing his songs and to honor him. I didn’t think I was much of a “birder” until I took a tour of the Galapagos, and then again in Colima in Mexico. Perhaps Latin American birds are more interesting? Las Terrazas Cuba is now home to 117 species of birds, 12 of them are endemic. It’s common to see the zocal, vibrant green Cuban tody and the tocororo, which is the national bird of Cuba as it’s also red, white and blue. There are some amazing hiking opportunities in the Sierra del Rosario. However, you cannot do them unguided as they are somewhat difficult and the trails are unmarked. You can book a guide at Hotel Moka or the Oficinas del Complejo for 19 CUC/person, which is a bargain for a guide. I have no desire to hike up steep hills so I missed out on the monument of Che Guevara on top of the mountain, but I didn’t feel so badly as there’s plenty of other Che statues, monuments and souvenirs around the rest of Cuba. This three hour hike is only 6 kilometres (3.7 miles) but it’s a medium-difficult journey straight up Taburete Mountain. However, once you’re at the peak it’s a great view of the Batabanó Gulf on one side and the Cabañas and Mariel sea ports on the other. The climb back down ends with a well deserved swim in the San Juan River. Although this 9km (5.6 miles) hike covers more distance, it is also three hours and is a bit less steep and only a medium difficulty. It includes the ruins of the San Ildefonso and El Contento coffee plantations, which can only be accessed by hiking. This 6.4km (4 miles) is an easy three hour trail. 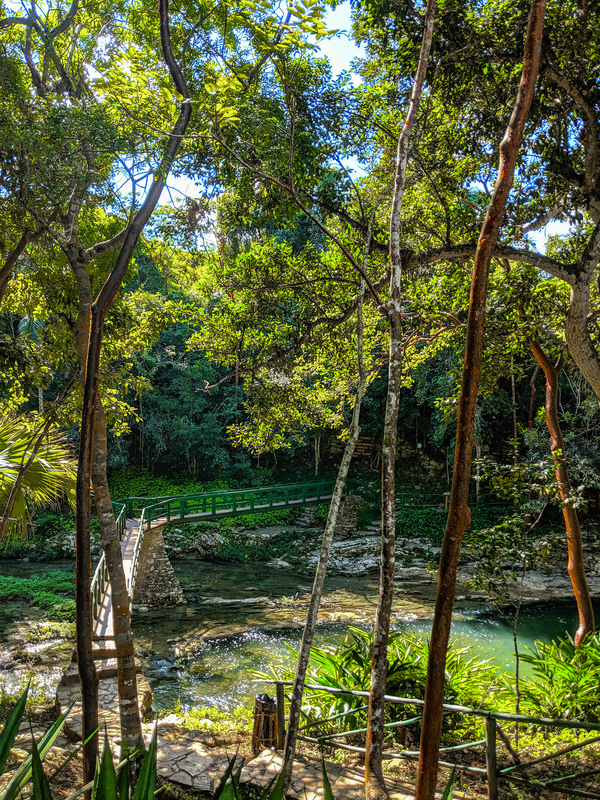 It includes a short walk through the evergreen forest, up to a look out and the Santa Serafina Coffee farm, and finally ending in Rancho Curujey. 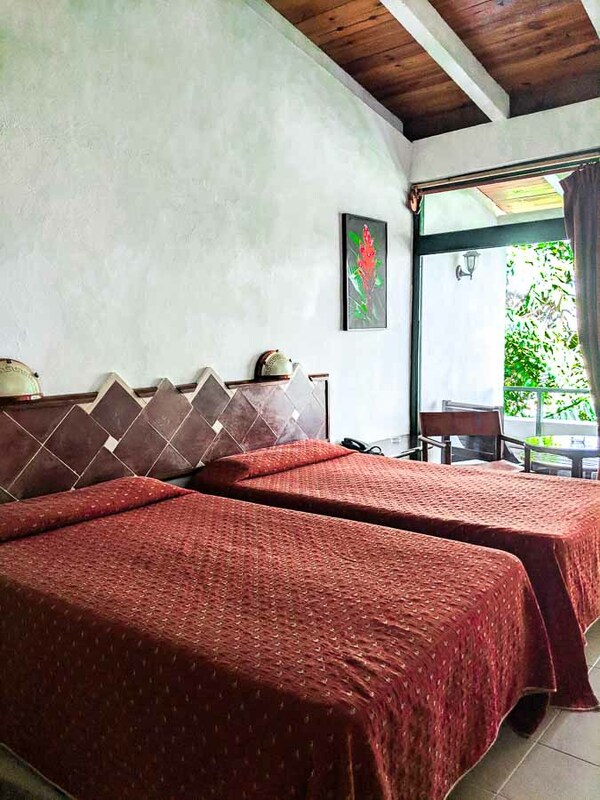 Las Terrazas is known as an artist community as well with four formal studios and an emphasis on art and music. The Las Terrazas community is small enough, that if you aren’t sure how to get to the next studio just ask someone passing by. A nature lover, Duport was born in Guantanamo but now lives in Las Terrazas. His studio is a nature sanctuary and his art reflect this with paintings of tropical Cuban flowers, mostly orchids. Focusing on nature, Ariel is known for linen, wood and recycled paper use. 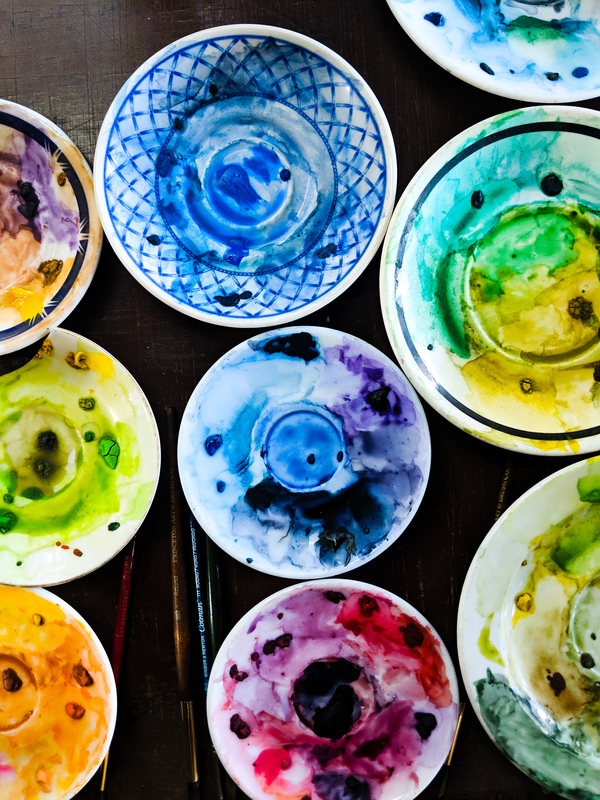 While there is traditional artwork, the ingenuity of recycling and reusing items is inspiring. Locals use beer can rings to create handbags and hibiscus wood carved into salad tongs. 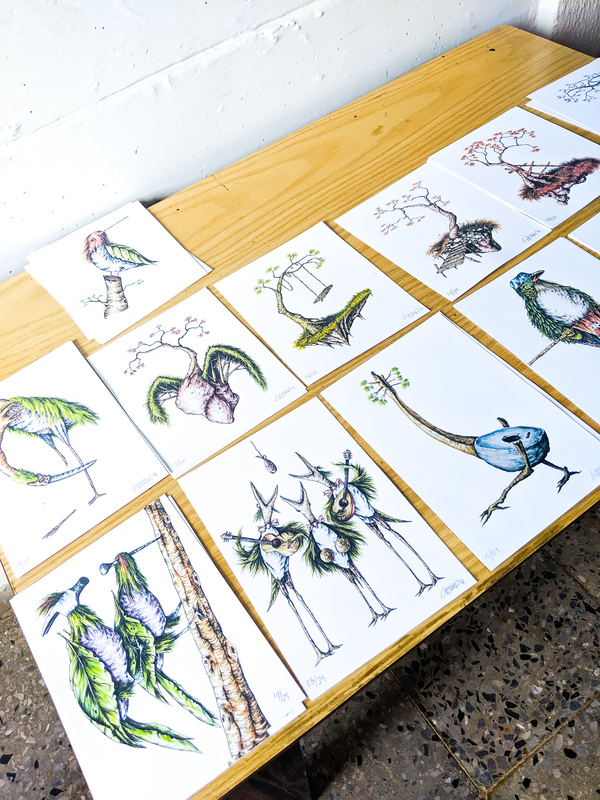 The studio features notebooks for sale that local children have learned to make. Ariel teaches them to make paper by recycling existing paper, bamboo and banana leaf and creating colour dyes with bamboo, beets and tobacco. You can also buy perfume bottled in recycled Cuban medicine bottles, using the scent of Cuba’s national flower, the fragrant white mariposa. When we popped into Henry’s studio there were other travellers making the tough decision of just which one of his surrealist pieces they would buy. Henry is not from the area but instead is one of the locals that married into the community. His English is excellent and he was able to share his inspiration for the watercolour pieces where he blends animals with everyday objects. 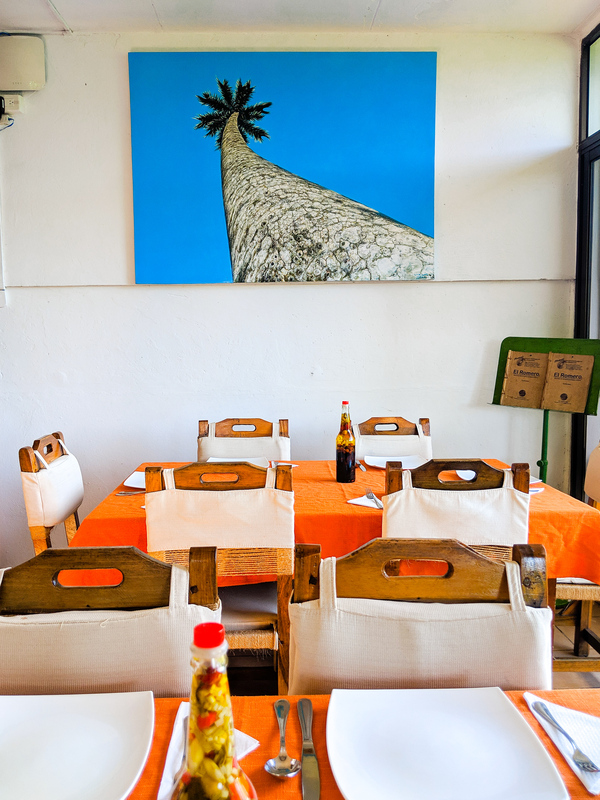 Despite being a tourist location, Las Terrazas restaurants are surprisingly affordable with prices lower than restaurants in Havana. 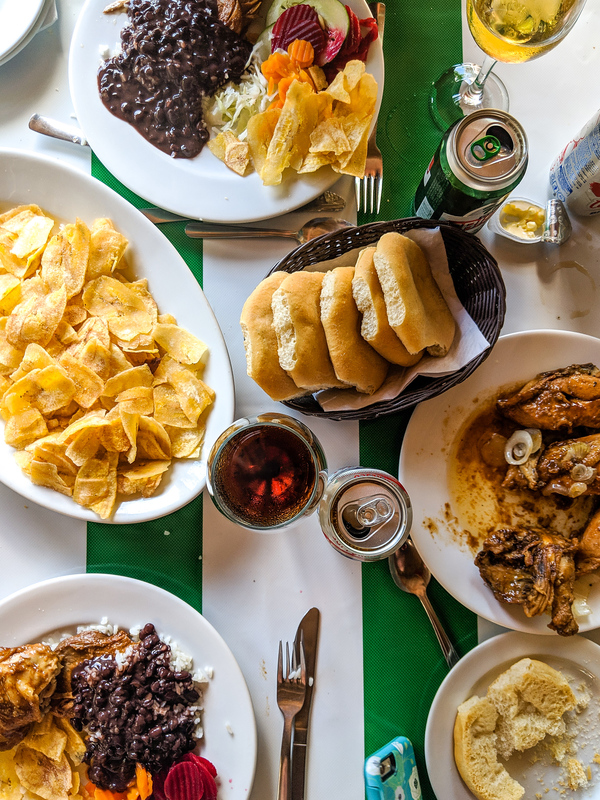 As half of the clientele are Cuban, most of the restaurants serve traditional Cuban food, with Hotel Moka offering the most upscale versions catering to international guests. Although Raul Castro created the opportunity for Cuban paladares (non-government owned restaurants) and homes opened their doors to private restaurants this doesn’t exist in Las Terrazas. Since all of the buildings are government owned, Terraceros (locals who live in Las Terrazas) cannot sell the homes or open businesses in them. That said, while they are not technically paladares the businesses employ locals and profits are reinvested into the community. In a country where a good salad is hard to find, El Romero stands out like a shining star. Not only is it a vegetarian restaurant, but it uses solar energy including a solar stove, composts, keeps its own bees to pollinate local produce and is constantly searching for more ways to become more environmentally friendly. If you can, get the table on the balcony, with a spectacular view. This Las Terrazas restaurant has two bars, one of which (Loto Bar) is open 24 hours a day. El Almacigo offers snacks and small plates of Cuban food. Located on the San Juan River, where Cubans flock in the summer. Expect traditional creole food in an outdoor covered dining room with entrees ranging from roast pork for 4.50 CUC to grilled fish for 7 CUC. National beer is a bargain price of 1.20 CUC and a Cuba Libre will set you back 1.75 CUC, the cheapest I’ve ever seen. Just inside the toll gate, most visitors begin at Rancho Curujey for a welcome cocktail and to learn a bit about the area. There’s also a small bar with Cuban snacks in a covered area to enjoy the view of the lake. Specializing in fish and seafood, you’ll find this Las Terrazas restaurant also at the entrance on the San Juan Lake. If you’re looking to rent a row boat or kayak, you can do so here for 2 CUC/hour. 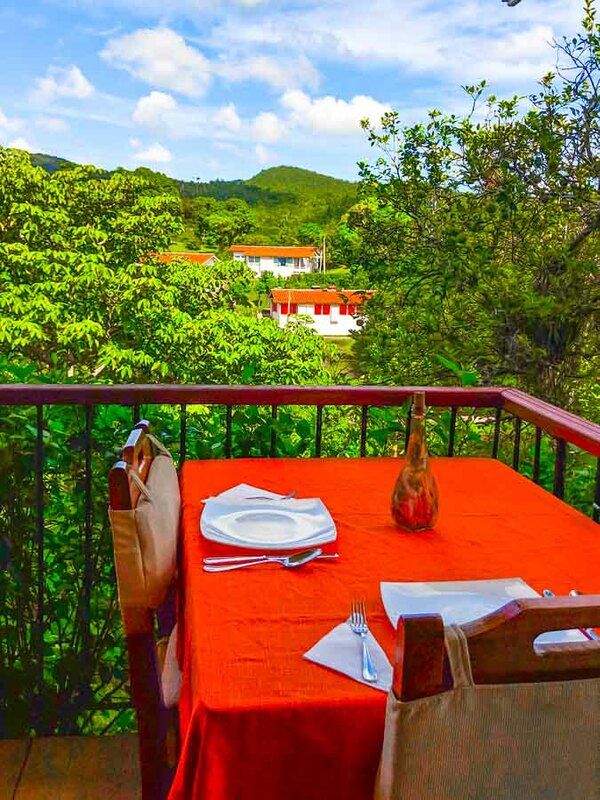 Located in Hotel Moka, the Balcon de las Tecas features a modern spin on traditional Cuban cuisine with some international dishes as well. You’re less likely to find Cubans eating here but it’s worth checking out, especially if you’re with travellers who prefer international food. This is a great place for lunch if you’re with a group as it’s an opportunity to try traditional Cuban food served family style. 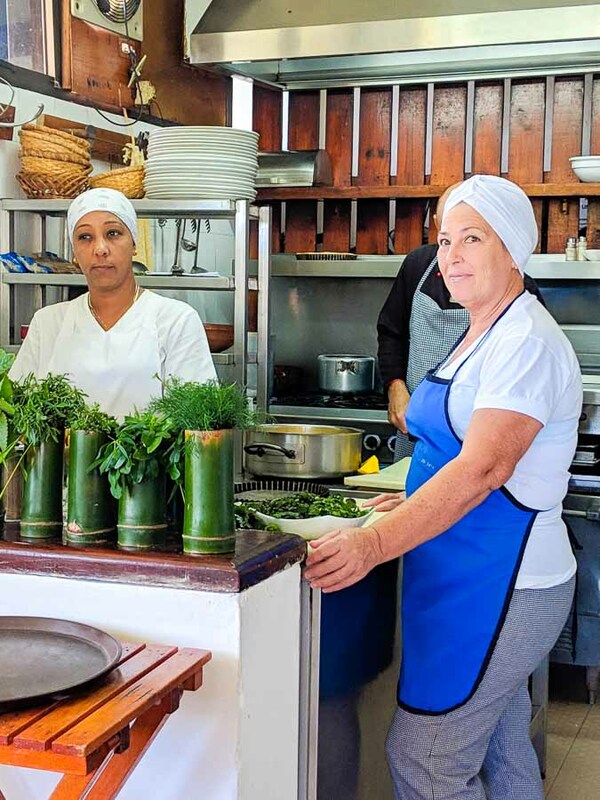 Considered to be the best restaurant in Las Terrazas, you can organize a pig roast or something a bit more unusual like rabbit cooked creole style. The outdoor dining area is in the middle of a gorgeous rural area where you can see live animals, the garden and fruit trees. It was previously only open for lunch but the view is so beautiful it’s now also open for dinner by reservation. La Fonda de Mercedes is located next to Mercedes’ home and is meant to feel like eating in a Cuban’s home. This is a great example of integrating tourism into the community. Guests arrive to a local corn and vegetable soup and are treated like guests. You cannot beat the view at this open air coffee shop. While Maria has many different gourmet coffee drinks available, you’ll want to get Café Las Terrazas, which is a refreshingly cold coffee with milk, cacao liquor, chocolate and ice. It’s dangerous as you’ll want more than one. While Las Terrazas Cuba is a small community, there is always an opportunity to dance in this country. Some people find this nightlife a bit odd in such a serene spot but to each their own. This hotel was built in 1994 when the community opened to tourism. It uses local materials in its colonial style, nestled in between the trees with a giant rain tree as the centre of the lobby. Prices include breakfast and the minibar. This room in Villa Ciriles features an outdoor shower. 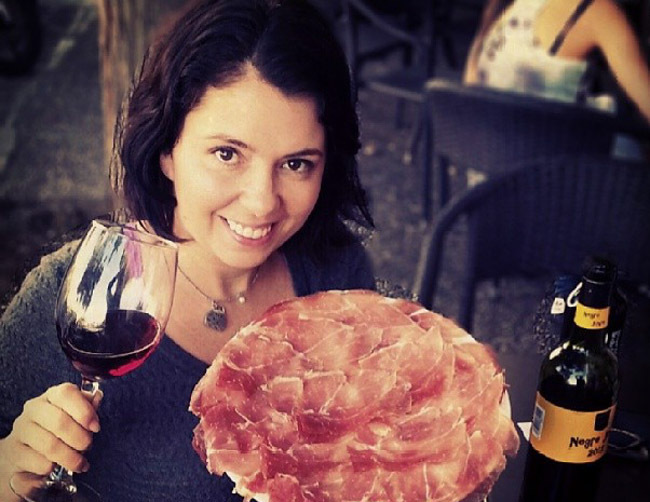 Just as Terreceros cannot own private restaurants, they cannot run casa particulares or B&Bs. 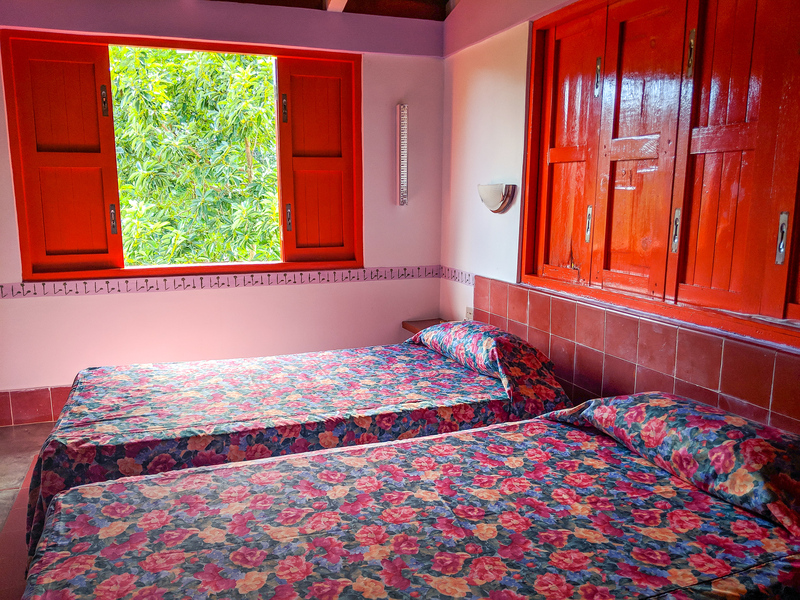 However, Hotel Loka offers 5 “Community Rooms” which are rooms adjacent to people’s homes in the community and essentially B&Bs as well. They all have separate bathrooms, national television and feel more like staying in someone’s home. Along the San Juan river you can rent one of 11 cabins, which have a fan, running water and electricity. There is a bathroom in nearby El Macurije restaurant. Although there are outdoor showers most people swim in the river. Breakfast is included and the 10 CUC entrance fee to the river is waived, which makes it an incredible deal. In front of the cabins is a camping area. You can rent a tent for 8 CUC per night for one person or 12 CUC per night for a couple. If you have your own tent you can negotiate a price of around 5 CUC per night. Las Terrazas Complex is 60 km west of Havana at 52.5km in Pinar del Rio on the way to Viñales. 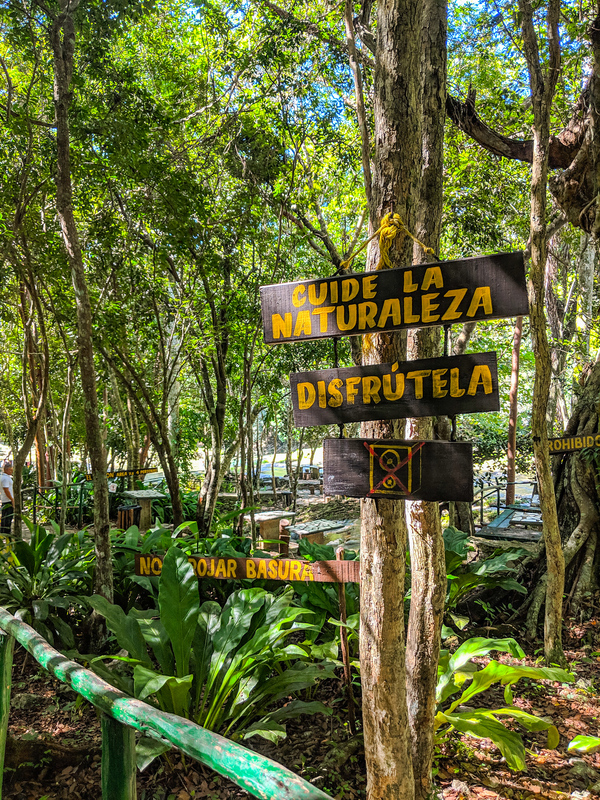 At both ends of the highway there are toll gates (fee is 4 CUC per person) and information on things to do in Las Terrazas, accommodation and any other questions you may have. I would personally never drive in Cuba and I wouldn’t recommend that a tourist does either. Hiring a car is expensive and difficult. Roads can be difficult to navigate and if you don’t speak Spanish it will be tough if you get lost. As well, the rules regarding accidents are different in Cuba and some tourists end up in jail. There is really no need to drive in Cuba. Help the local economy by hiring Cuban drivers or take the bus. Although many of the excursions in Las Terrazas Cuba require a car, there are local taxis and within the region a taxi ride is only $3. Taxi costs vary wildly depending on how well negotiate. A private taxi could cost between $70-$150. If you’re confident with your Spanish you could negotiate a taxi collectivo on its way to Viniales for as little as $15/person and arrange for a taxi from there. The Viazul bus stops twice a day, in the morning at 10am heading to Viniales and 4pm returning to Havana. The stop is at Rancho Curujey, which is a 1km walk to Las Terrazas. If you’re staying at the Moka Hotel you could arrange for a local taxi to pick you up from there. Or when you arrive you can ask at the office. The price should be $3 either way. One of the things I love about Cuba is that the price isn’t always cut and dry. So you can have an entrance fee of 25, but 20 of that is “consumable” which means you get a 20 credit to spend on food and drink. It’s most popular to stay 2 nights and there are many packages available. If you understand Spanish ask for the Tu Conmigo package, which is usually offered to Cubans as it’s cheaper but foreigners can also buy it. It’s a 2 night all inclusive option with the zipline. Cuba is generally a safe country and is known around the world for its healthcare. Although tourists need not worry about mosquito-borne illnesses like malaria, the Zika virus is present. I’ve heard conflicting views on drinking water. Some Cubans say it is safe to drink but the presence of different minerals could give someone the Cuban version of Delhi belly. However, none of my friends drink water straight from the tap so neither do I.
Mosquito repellent. Especially during the summer mosquitos are vicious on the beach at dusk. 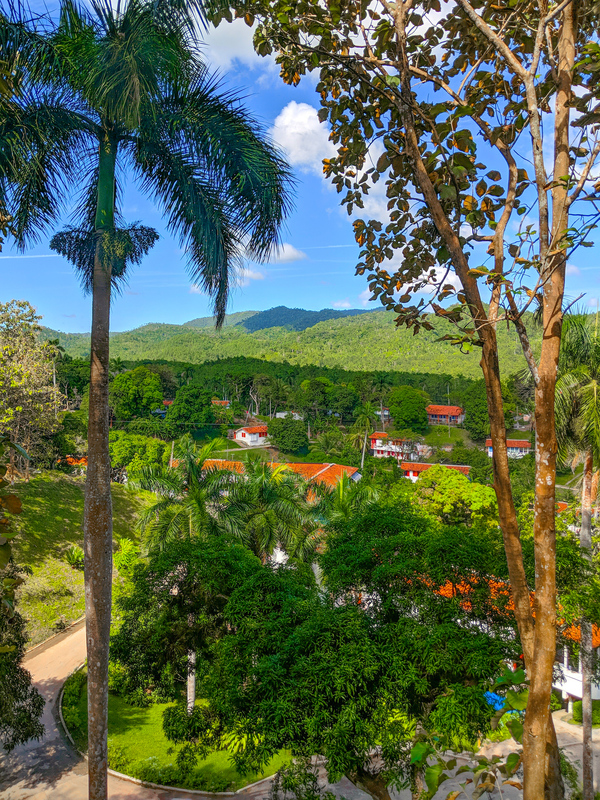 The region of Las Terrazas Cuba is shaded with many trees, which means lots of potential bug bites. Sunscreen. It is expensive and difficult to buy. The sun is very strong here. I wear 110 SPF and reapply often but I’ve noticed a lot of sun damage on my face. I really need to find a hat that doesn’t make me stand out like a yuma tourist. Tourists are required to have insurance while traveling in Cuba. While it is included in flights coming from the US, it may be best to consider supplemental insurance. Disclosure: As I mentioned above I was a guest of Autentica Cuba, who did not request that I write anything specific. But I’m so thankful I took this trip to Las Terrazas Cuba because in the ten months I had been here I hadn’t yet heard of it.